The team of Brelomate 2 is looking for senior citizens to participate in a field study on online-communication. In spring 2017 our Brelomate communication and gaming platform will be tested in 36 households in the St. Pölten area. 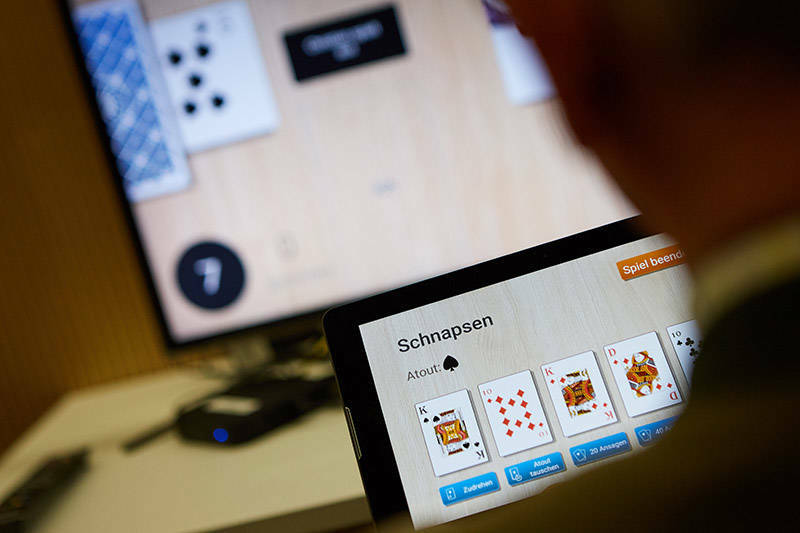 The Brelomate platform connects TV and tablet to a user-friendly game and communication portal for the elderly. From February to June 2017 the platform will be tested in households in the St. Pölten area. Participants will receive a Brelomate tablet for 6 to 8 weeks. During this period they have the opportunity to play the card game “Schnapsen” or talk with other participants. Senior citizens participating in the study do not need any prior technical knowledge, but should be familiar with the card game “Schnapsen”. Participants will be paid 200 euros on completion of the study and receive free kabelplus internet for the duration of the study.